Baylor>Educational Leadership>Graduate Programs>EdD in K-12 Educational Leadership>Is the Baylor EdD for You? The Baylor EdD in Educational Leadership will train you for visionary leadership in the K-12 field. This is a degree for currently practicing educators who want to remain in the profession and make a difference through transformational leadership. The Baylor EdD in K-12 Educational Leadership is based on the principles and guidelines established by the Carnegie Project for the Education Doctorate, designed to be on par with other professional practice doctorates such as the JD and MD degrees. Baylor University, the School of Education and the Department of Educational Leadership offer robust financial support to all candidates who are accepted into the highly selective EdD in K-12 Educational Leadership program. Through a combination of support systems, each EdD candidate may expect to pay approximately 50 percent of the regular per-course-hour Baylor tuition rate, which changes on a yearly basis. Tuition in the EdD in K-12 Educational Leadership is based on the per-course-hour rate in the Baylor University Graduate School. Students may explore other financial support sources outside the university as needed. The EdD in K-12 Educational Leadership will prepare candidates for Superintendent Certification if they choose to pursue it. Coursework will support certification requirements, and the Baylor School of Education’s Office of Professional Practice (OPP) will facilitate certification. Candidates will also take a diagnostic pre-test administered by OPP before taking the official test. Candidates who pass the official test will be recommended by Baylor for certification. Baylor University is a private Christian university and a nationally ranked research institution. Chartered in 1845 by the Republic of Texas and through the efforts of Baptist pioneers, Baylor is the oldest continually operating university in the state. And Baylor has a historic commitment to preparing educators and educational leaders. The School of Education was established as a separate academic school in 1919. Baylor University, the School of Education, and the Graduate School are committed to education that is transformational, education that changes the way the student experiences the world. The EdD in K-12 Educational Leadership will equip graduates with knowledge about school law, organizational structure, conflict management, fiscal operations, data analysis, and other essential topics. At Baylor, students will also receive a solid grounding in issues of ethics, faith and social justice in the K-12 context. 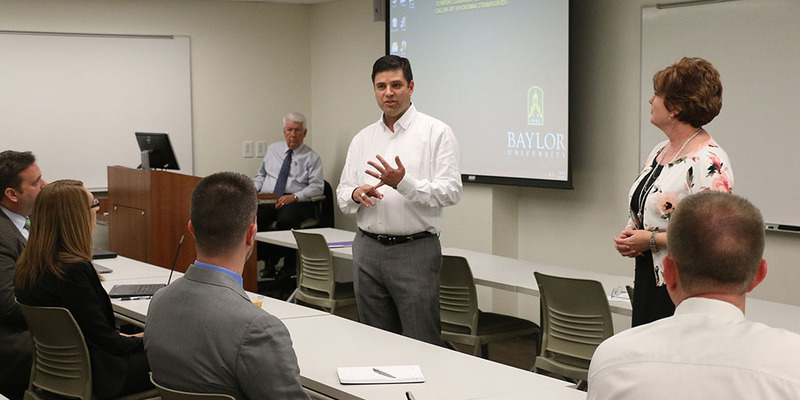 The Baylor EdD was developed through intensive market and workforce analysis that indicated a need for exactly the kind of educational leaders that the program will train.